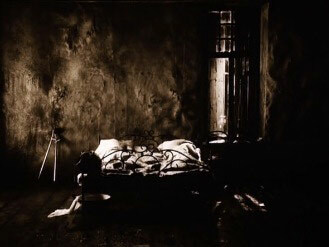 After the last blog entry with the book list, I found myself inspired to revisit Tarkovsky’s body of work. If you’ve read it, you’ll know that he was a stickler for long takes and very little cutting; each cut has a specific purpose and is used more for bringing the viewer into the next part of the story and the rhythm of the story rather than the cut itself or for montage. So, we’ve seen long takes with the emphasis on performance (i.e. Keitel), and now let me wrap up with long takes with the emphasis on story rhythm. This was Tarkovsky’s first feature, and you can see where he really starts to explore the long take without actually having painfully long takes. That said, there are some killer transitions from one scene to the next (most especially coming in and out of the dream sequences), which is another trend that he continued throughout the rest of his career. Each scene flows nicely into the next, and this is one of his most easily digestible feature films for people who view movies as entertainment rather than art. This is the film that everyone knows, probably because of the remake starring George Clooney, but this one is done Tarkovsky-style. The biggest benefit to doing it Tarkovsky-style is that the long takes and awkward silences make everything so much creepier. Especially considering we’re following the story but not really sure what the "fog-goo" is doing until the second half of the film (and even then it’s really up to the viewer’s personal conclusions). 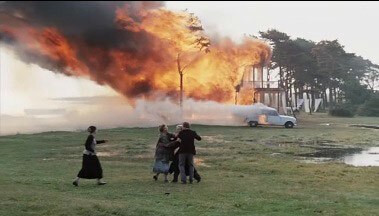 As much as I actually do "get" Tarkovsky and appreciate his work, most of his movies are difficult for me to watch. I guess I’m plagued by the Y generation’s short attention span. In any case, if you want the epitome of long takes, this is the only film you need see. Consequently the film feels more like a stage play than a film at times. That said, even though each take is somewhere between 3-5 minutes long, the cuts all make sense, and the scene transitions are brilliant. Anyway, this is a film that I need to spend more time with, because for many it is a "life-changing" film. But, it’s only life changing if you can muster up the patience to watch it all the way through. For Tarkovsky fans, this film is the favourite. Everyone goes on and on about how "this is the best film that’s ever been made!" 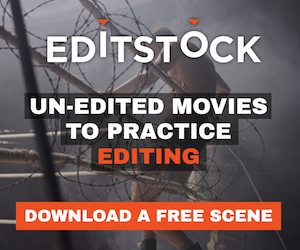 Well, editing-wise, it’s pretty darn awesome; it includes both of Tarkovsky’s signature moves. My favourite aspect is how he manages to tie in scenes together by transitioning in cool ways. For example, after the attack in the woods there’s a cut to a blank wall that is splattered with paint (similar to blood...). It sounds like a clich?� move, but I don’t think too many people were cutting with such purpose like this when he made this film. It has since become a clich?�, thanks to Tarkovsky. All that said, for me, the time span of the long takes make it difficult for me to sit still.